A 13-kilometer (8-mile) diameter crater being infilled by the Medusae Fossae Formation. Credit: High Resolution Stereo Camera/European Space Agency. 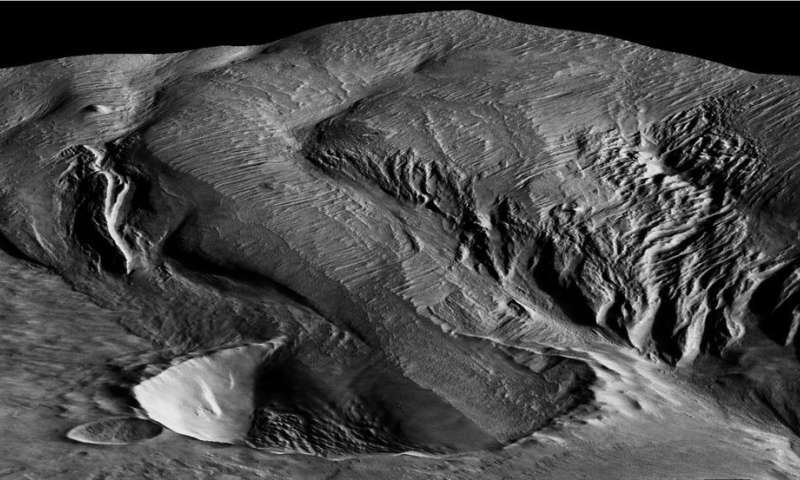 Explosive volcanic eruptions that shot jets of hot ash, rock and gas skyward are the likely source of a mysterious Martian rock formation, a new study finds. The new finding could add to scientists' understanding of Mars's interior and its past potential for habitability, according to the study's authors. Ash from these explosions plummets to the ground and streams downhill. After enough time has passed, the ash cements into rock, and Ojha suspects this is what formed the Medusae Fossae. As much as half of the soft rock originally deposited during the eruptions has eroded away, leaving behind the hills and valleys seen in the Medusae Fossae today. The new findings suggest the Martian interior is more complex than scientists originally thought, according to Ojha. Scientists know Mars has some water and carbon dioxide in its crust that allow explosive volcanic eruptions to happen on its surface, but the planet's interior would have needed massive amounts of volatile gases—substances that become gas at low temperatures—to create a deposit of this size, he said. "If you were to distribute the Medusae Fossae globally, it would make a 9.7-meter (32-foot) thick layer." Ojha said. "Given the sheer magnitude of this deposit, it really is incredible because it implies that the magma was not only rich in volatiles and also that it had to be volatile-rich for long periods of time." 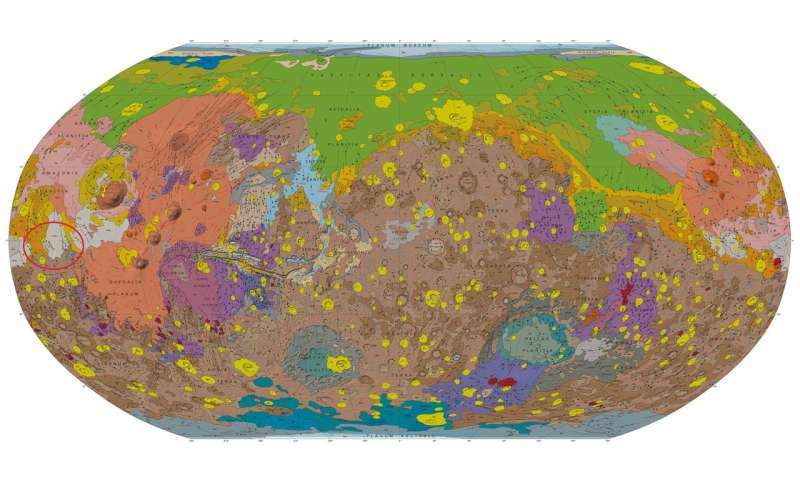 The new study shows the promise of gravity surveys in interpreting Mars's rock record, according to Kevin Lewis, a planetary scientist at Johns Hopkins University and co-author of the new study. "Future gravity surveys could help distinguish between ice, sediments and igneous rocks in the upper crust of the planet," Lewis said.